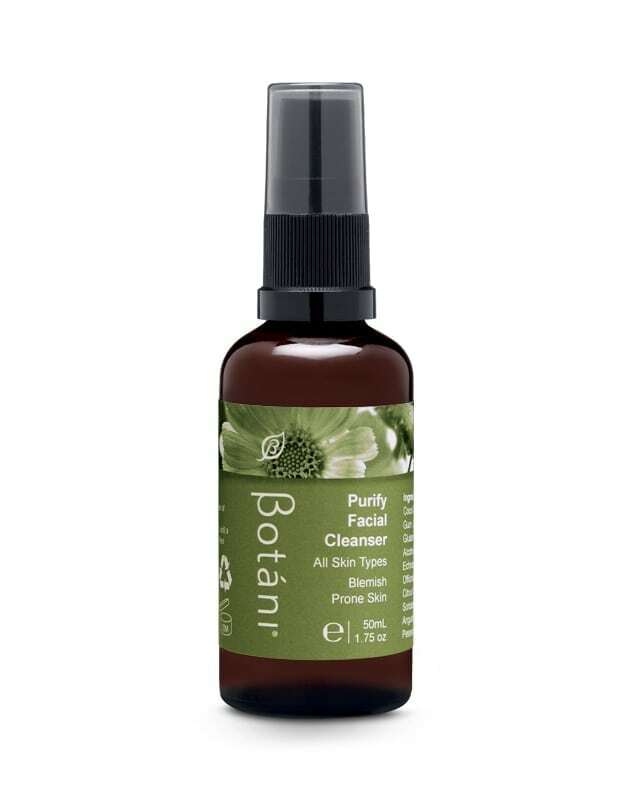 A foaming facial cleanser that is gentle, hydrating and sulphate-free. Removes non-waterproof makeup. Contains Calendula Flower Extract, Chamomilla Flower Extract, Echinacea Root Extract and Australian Lemon Scented Tea Tree Oil. Suitable for all skin types. Available in 50mL and 100mL. A unique gel-based cleanser with hydrating and anti-bacterial botanicals that leaves your skin clean, moist and refreshed. 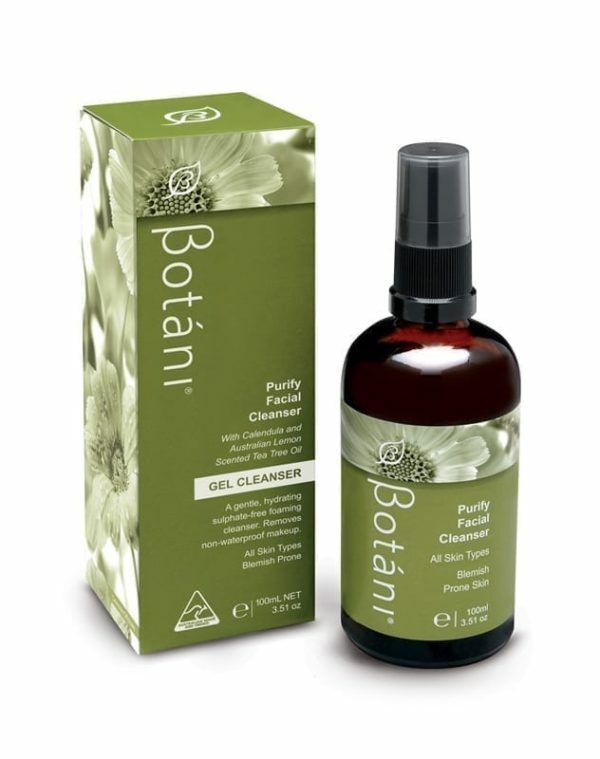 Botáni’s Purify Facial Cleanser is suitable for all skin types – especially for oily, combination, blemish and acne prone skin. 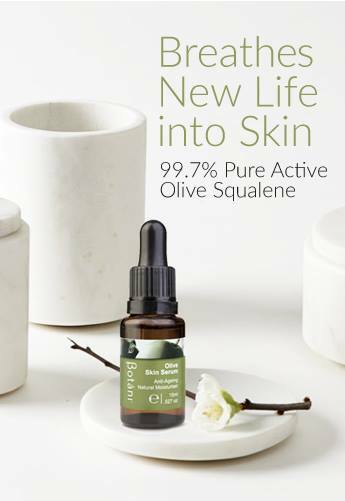 This lightly foaming formulation will gently clean skin and remove impurities, minimising irritation and dryness without stripping the skin of its natural vital oils. Application: Pump a small portion onto clean fingers. Add warm water until slightly foaming, massage in gentle circular motions then rinse well. 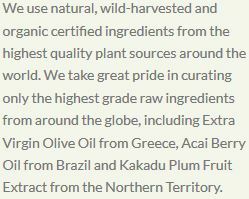 Aqua, Glycerin, Coco Betaine,Cyamopsis Tetragonoloba (Guar) Gum, Coco-Glucoside, Sodium Cocoyl Glutamate, Chamomilla Recutita Flower Extract, Echinacea Angustifolia Root Extract, Calendula Officinalis Flower Extract, Hydrolyzed Soy Protein, Citrus Grandis (Grapefruit) Seed Extract, Potassium Sorbate, Benzyl Alcohol, Lavandula Angustifolia (French Lavender) Oil, Citric Acid, Leptospermum Petersonii (Australian Lemon Scented) Tea Tree Oil, Linalool. I have combination skin with adult (hormonal) acne, and the combination of this lovely, light cleanser with the Boost balancing moisturiser has worked wonders – clear skin! I have normal-dry skin but suffer from hormonal breakouts so I thought this would be ideal for those times. It cleanses well but doesn’t leave my skin stripped or dry.